Known as La Dotta (the wise) for its historic university founded in 1088, and La Grassa (the fat) for its incredible cuisine, Bologna is also famous as the city where umbrellas are not needed, thanks to an ingenious network of covered sidewalks or porticos. 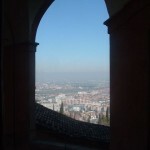 The longest and most spectacular of these porticos climbs to the top of Monte della Guardia on the outskirts of Bologna from which the circular Santuario di San Luca guards the city. 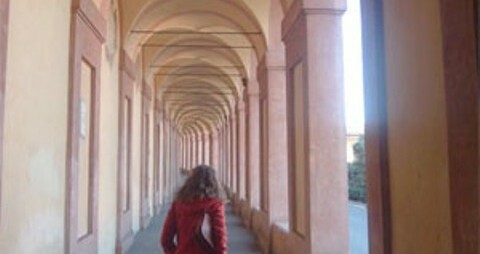 Beginning at Porta Saragozza, Bologna’s south-western gate, the portico’s 666 arches stretch for over two miles. 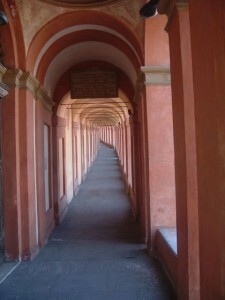 The uphill leg begins at the impressive Meloncello archway and continues past frescoed chapels and numerous memorial plaques honoring patrons who helped build or restore the majestic portico. From the top of the hill there are lovely views of the city and surrounding landscape below. Since its mention in John Grisham’s book, “The Broker”, the “Portico Trek” is fast becoming an alternative itinerary for visitors, just as the CinqueTerre trails are in Liguria. 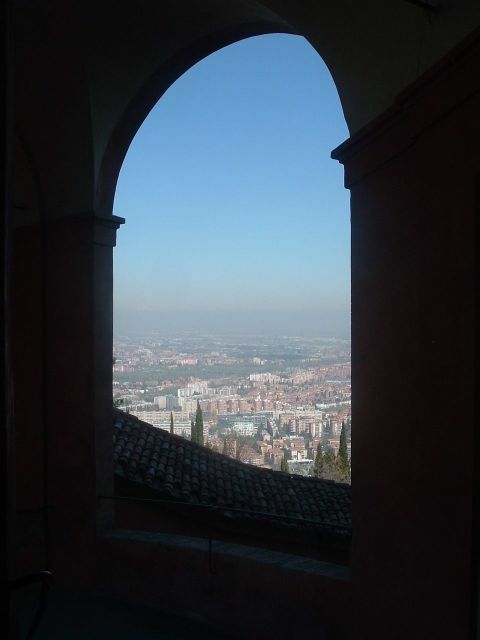 Besides, in Bologna you’ll be hard pressed to find a better way to work off all that great food!